Swiss International Airplanes at Zurich Airport. A bright, clear day over Zurich Airport. 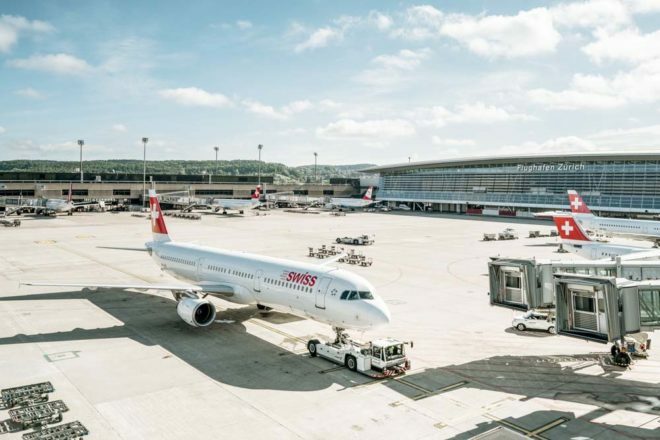 An unexpected stopover in Zurich airport turns into an exercise in faultless customer service, explains Leigh-Ann Pow. I blame the late hour of my arrival into Hong Kong, but really the fault is all mine. I didn’t look at the gate number properly and find out too late that I am at the wrong one for my Swiss International Air Lines flight to Zurich. By the time I get to the right one, I’ve been dumped off the flight. This is where my journey could have crossed the Rubicon into a travel nightmare if it wasn’t for the fact that I was flying SWISS. While the ground staff in Hong Kong is modest, they more than make up for it in genuine service and a refreshing empathy for what I might be feeling at that exact moment. First they assure me that my luggage is safe and will be stored until the next day. Next, they have already spoken to the powers-that-be about getting me on the next evening’s flight, and will confirm in the morning whether there will be any fees for rebooking or penalties for sheer stupidity. And lastly they point me in the direction of the airport hotel so that I can catch some sleep before I restart my aborted journey. The next day brings confirmation of my flight details and a reassurance that no extra cost has been incurred. In order to repay this kindness I arrive at the airport and check in (again) super early. When I finally board the SWISS Boeing 777-300ER I even find myself in the bulkhead with lots of legroom to luxuriate in – quite a reward considering. The economy cabin is light and bright, with a nice feeling of space. The colour scheme is reflective of the Swiss flag, with lots of red and white highlights, and bleached wood surfaces. There’s plenty of legroom if you’re not on the bulkhead, and the entertainment screen – a generous 27 centimetres – works as a touch screen. The flight crew are gracious when called upon, but with handy water dispensers throughout the cabin and a self-serve kiosk of snacks and drinks, I actually want for nothing. By the time I land in Zurich I’m a day late, but after such faultless customer service I am remarkably unstressed and looking forward to checking in for my return journey (well ahead of schedule and at the correct gate!). Zurich Airport is the kind of mammoth, well-run, architecturally interesting airport that you want to find when you arrive (and depart from) Europe. It presents like a luxe shopping centre, blurring the lines between utilitarian necessities and elements that are there to entertain and divert, including 60 shops and 40 eateries. Then there are the experiences that make it totally unique, from organising children’s birthday parties on site to hiring sports equipment so you can explore the surroundings. 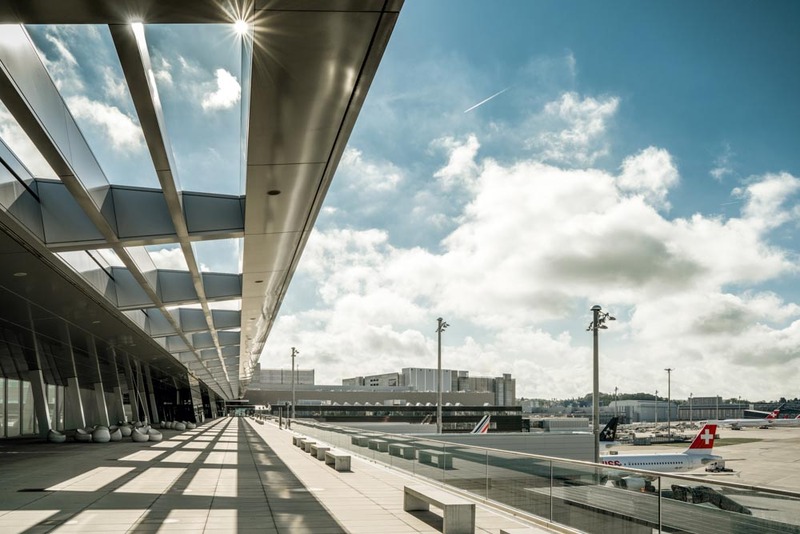 Here, our top travel picks that make Zurich Airport so great. 1. It has its own train station: head straight off your flight and jump on a train that will have you in downtown Zurich in just 10 minutes. From there, get connections to destinations across the country. 2. The new SWISS Business Lounge in Terminal E has all the expected comforts, as well as stunning views to the Swiss Alps. 3. With true Swiss precision, transfer times here are the shortest in Europe: 40 minutes for all connections. Try visiting Zurich at Xmas time. Only four Immigration officers on duty. At least two hundred passengers waiting to clear. Took two hours to clear. Not very good welcome to Zurich.